In recent years Nintendo has made a habit of aligning itself with external studios in order to complete notable projects. We've seen fruitful unions with the likes of Sega (F-Zero GX), Capcom (The Legend of Zelda: Minish Cap) and more recently Team Ninja (Metroid: Other M), Next Level Games (Luigi's Mansion 2) and Retro Studios (Donkey Kong Country Returns), illustrating that despite its lofty reputation within the industry, the modern Nintendo isn't afraid to look outside its own internal resources to get the job done. However, back in the mid '90s this kind of policy was far less common, a fact which is evidenced by the intense scepticism that surrounded the development of Pilotwings 64. The 3D flight simulator — which followed on from the much-loved SNES original which launched on the Wii U Virtual Console recently — was to be coded in collaboration with American 'visual technology' studio Paradigm Simulation, a company with no prior experience of producing video games. It’s little wonder that dedicated Nintendo fan boys were practically quaking in their boots. "Nintendo was looking for select companies with 3D graphics experience, and discovered us through their relationship with Silicon Graphics"
"During the production, we learned a great deal from working with Nintendo, not just about game design specifically, but also about producing games in general." This phase of development was characterized by periods of testing, pushing the new hardware and finding out what it was capable of. “Following the integration effort at SGI and E3 1995, Nintendo started giving us a series of experiments to work on,” reveals Gatchel. This research would eventually evolve into the game we know and love today. 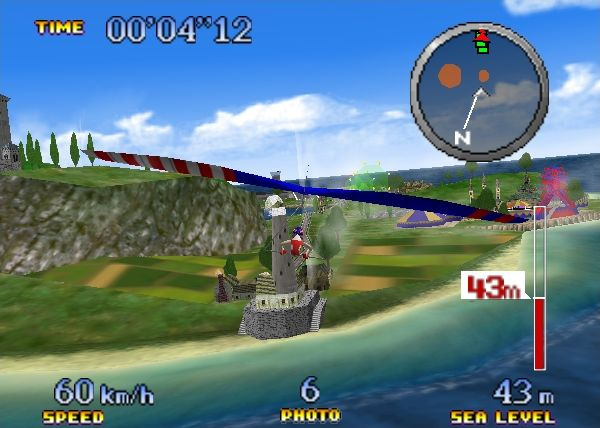 “We were actually quite a way into development before we knew it was going to be Pilotwings 64,” comments Mike Engeldinger. 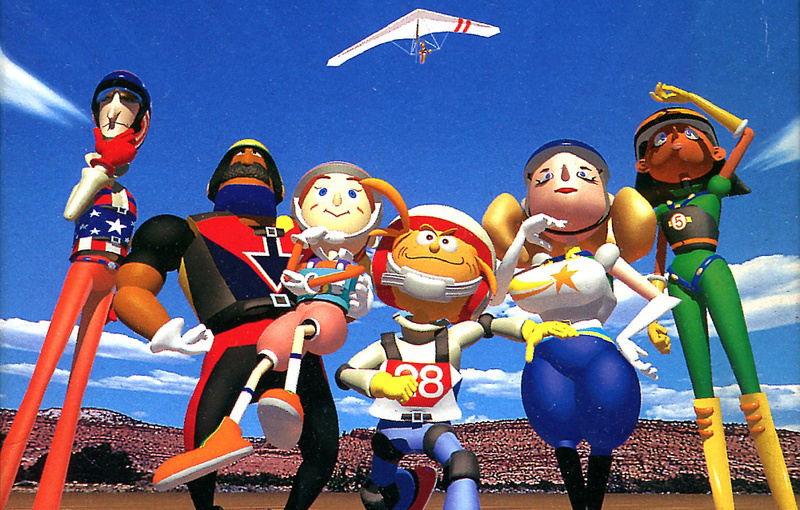 “Nintendo suggested that we think of flying concepts without any mention of Pilotwings. For example, we did several prototypes of flying reptiles, island hopper helicopters, biplanes, and the like.” As these experiments grew more and more grandiose, the truth was finally revealed to the team. 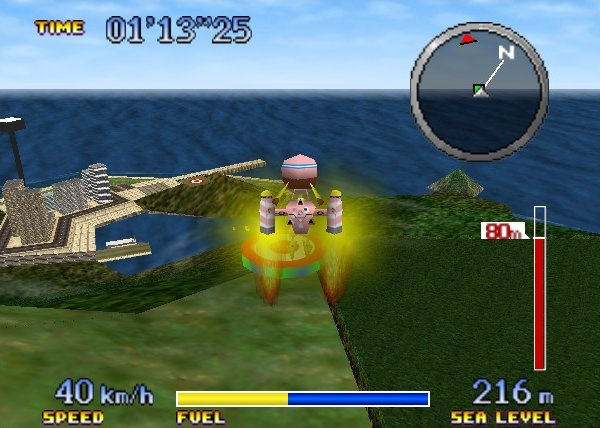 “After several months of this they let us know that we would be developing Pilotwings 64, with the goal of it being a launch title,” says Gatchel. "I remember about halfway through the development when we got a sneak peak at Mario 64...we were shocked at the game play and production quality compared to where we were." "Nintendo basically taught us the fundamentals of game development and the gaming industry, including the entire development process." Following the successful launch of Pilotwings 64, Paradigm Simulation was split into two firms – one of which was to focus on tech and the other on video game development. 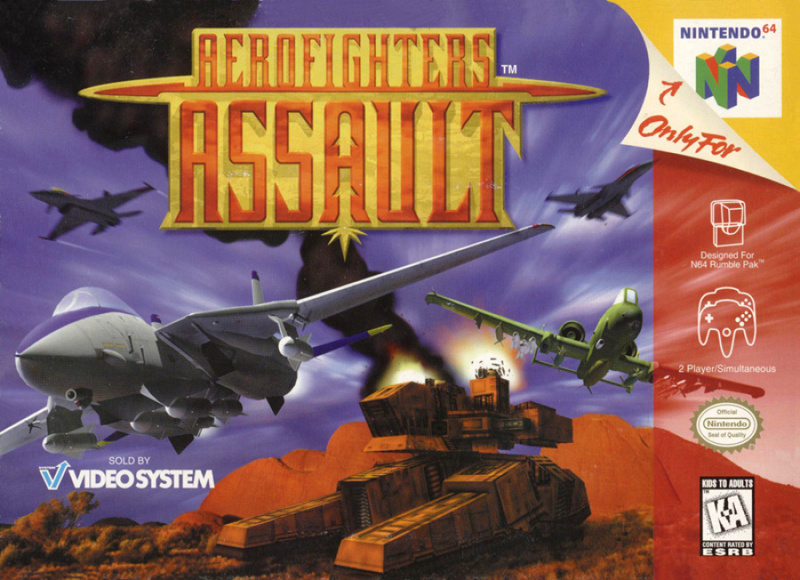 Paradigm Entertainment continued to develop for the N64, producing the average Aero Fighters Assault and assisting Video System with its popular Formula One racing titles, but strangely it never worked as intimately with Nintendo again. 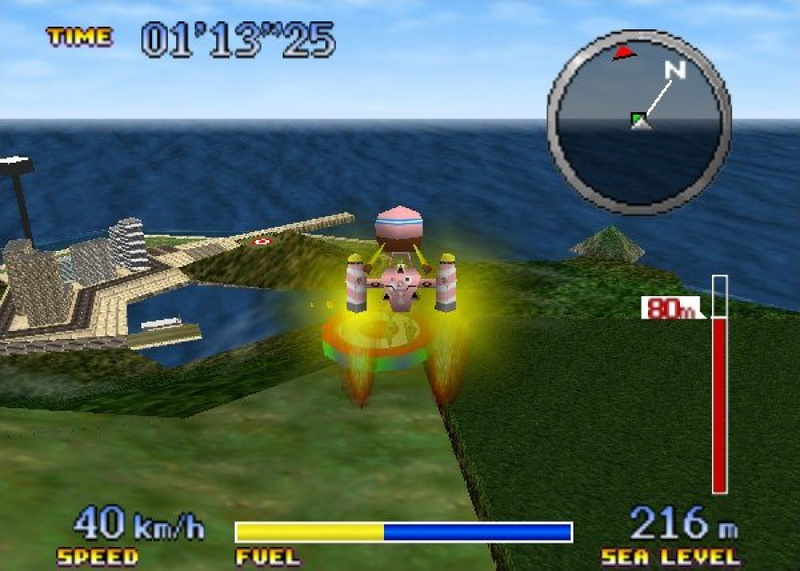 “We continued to maintain a close relationship with Nintendo following the release of Pilotwings 64, though not as a first-party developer,” explains Gatchel. “From our standpoint, we wanted to grow the business and felt that working with numerous publishers and multiple platforms would help mitigate our business risk. At the time, development teams were small enough that we were able to run multiple productions, and it wasn’t uncommon for us to work with as many as three publishers simultaneously.” Although a sequel to Pilotwings 64 was mooted in 1997 – with Paradigm handling development duties – it never materialized. “We had a great run as an independent developer, producing some great games and operating profitably every quarter of our existence prior to selling the business,” says Gatchel. “We elected to sell the business to Atari in 2000, at which point we were no longer entirely in control of our direction.” Following an exodus of staff, Atari offloaded the struggling studio in 2006 to THQ, and sadly in 2008 Paradigm closed its doors. Wow! Three pilot wings story's in one week. I loved all there games but beatle adventure racing was the best. @Macarony64 EA did Beatle Adventure Racing. Good read here! I'm surprised the 3ds version wasn't nearly as good as this one here. I was hoping for more elements from this game in it but it didn't quite live up to what I had hoped it would be! Roll on pilotwings 64 vc..... Never gave this the time it deserved!! thanks for reminding of beetle adventure racing...absolutely loved that game...so much fun...time to break out the N64 ! Ive said it before and ill say it again was a launch title and remained one of the very best games on the N64 period, was the game that brought TRUE understanding and realisation of analogue stick control to the N64 (up until that point it was all d-pad & joysticks etc, i achieved 100% in every mission which took some doing and still continued to play the game. @OldMan-Tech EA published the game was developed by this guys. Good stuff. Love reading about what these historical snippets were like for the people behind the scenes. Lots of Pilotwings love here and I like it. All we need now is a proper follow up to PW 64 on Wii U! Nintendo have GOT to release this on the virtual console! I really need to play this game, and if Nintendo won't release it on the virtual console, I'll probably end up buying the original cartridge if they are affordable. Agreed with many of the other commenters... I'm baffled this game was never released for Virtual Console.